Could super-duper-model Joan Smalls be any more gorgeous!? She’s a prime example of someone with an oblong face shape. When it comes to this shape, the goal is to wear it proud if you’re happy with it or to widen the face to make it appear less long. 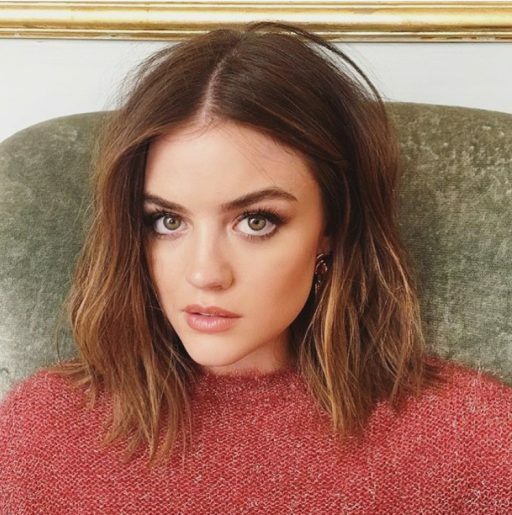 If a client of mine comes in and has an oblong face shape, I usually suggest a long bang or layers that hit just below the eyes when the hair is dry– that will draw out the width of your face. I also explain that if you don’t have natural waves, the hair will need to be styled regularly to acheive the widening effect. Super straight hair on an oblong face will make it appear even longer. 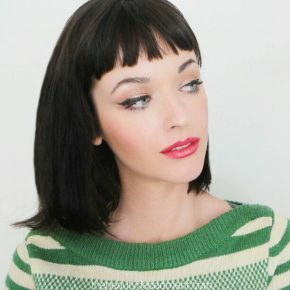 You want to make sure you are letting the cheekbones be clear and visible with an oblong shape. 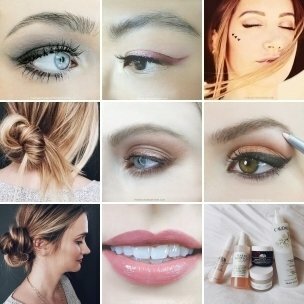 Here are some great ideas for all of you beautiful oblong girls! RETRO-LIKE CURLS- Set the hair and give it some real bounce. The softness of a retro curl can make everything feel more “round” and less long even when it’s not. Curls are an amazing way to add width to your silhouette but always keep in mind you want width, not height with oblong! SIDE SWEEP- As crazy as this sounds– ears help you gain width. Sweep all the hair over your shoulder and make sure you show an ear when there’s a lot of curl or texture going on. In the main photo above, if you cover Joans ears, the face appears much more narrow. When you see the ears it tricks your eye into thinking the face is a teeny bit wider than it actually is. Notice that Joan shows ear in just about every photo and that’s because her hair is cleared away from the face and that allows the cheekbones to come through! WEAR EARRINGS- I know this isn’t a hair trick but it’s still a trick. Earrings that dangle near the sides of your face (especially ones that are close to your skins own tone) help to draw out the overall silhouette. Try lighter golds for pale skin and bronzy colors for darker skin. Sounds crazy but it works!! WIDE WIDE WAVES- This may be where you need to learn how to flat iron curl. You can create a great wave pattern around your face with more control over where the waves hit when you use a beveled flat iron to do it. Hmmm… tutorial?? You want the widest part of the curls to hit right at your cheekbones. The hair should almost mimic the cheekbone, but be wider. If you look at the bottom right photo of Joan, you see that the widest part of the wave around here face is right around her cheekbone/ear area. Make that happen! You may have to spend a little time figuring out how to wrap the hair around a curling iron but it’s worth spending the time. BLOWOUTS- Again, you’re seeking width, so set the hair however you like but keep it off the face. Give it a good warm burst of air around your face at the end and lightly hit your hairline with hairspray. Do what you can to keep the hair from hugging your face. HAIRCUTS- Honestly, you’re not that limited on haircuts with an oblong face shape. The only thing you should really steer clear of is hard bobs that make you appear longer and really long sleek straight hair with no layers or movement. 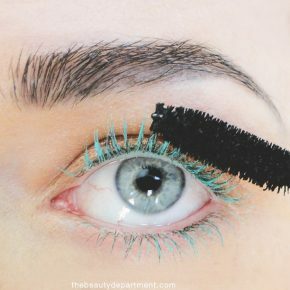 Everything else can be styled accordingly to create the illusion of a wider face. CURLY GIRLS- As Carrie Bradshaw proved to the world, curly girls with oblong face shapes are the chic-est. Let those curls be if you have them! Allow them to be loose + wild + off your face to widen the overall sillhouette. You of course need a great haircut to manage major curls, but once you have that, you’re all set. Curly hair for an oblong face is ideal because of the horizontal volume it gets naturally. 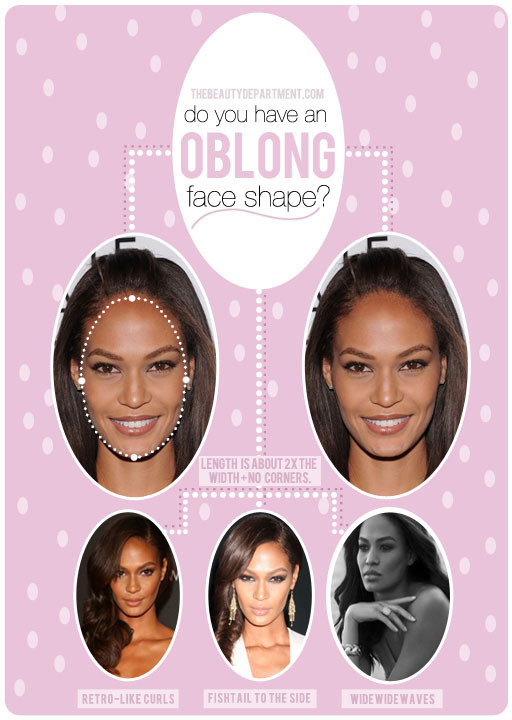 Are you an “Oblong” girl? Please share your stories about it below. What are your favorite and least favorite things about this face shape?